Whether you are selling your home, renovating, completing an estate clean out, or you just need to chuck that unwanted clutter, Mack Hauling Junk Removal will take care of it for you affordably, and efficiently. 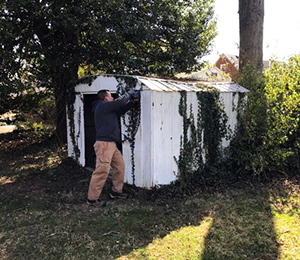 Junk removal can be dirty, physically demanding, and time consuming. Our goal is to relieve our customers of stress by doing all the lifting, loading and hauling away of items no matter where they are – attics, basements, or backyards. We lift. We load. We haul. All You do is Call. And we mean it! You don’t need to touch a thing. Just call to schedule your junk removal and when we arrive all you have to do is point to the items you want removed and we’ll take care of the rest. Mack Hauling Junk Removal provides junk removal services for all types of unwanted items. Our services range from single item pick-ups to complete home and business clean-outs. We haul away old appliances, furniture, electronics, exercise equipment, construction debris, hot tubs, old fences, sheds, and much more. 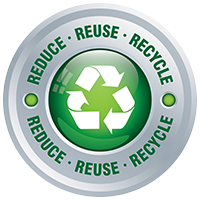 We are environmentally conscious and guarantee that items picked up are either donated for reuse, recycled, or disposed of in a proper landfill. 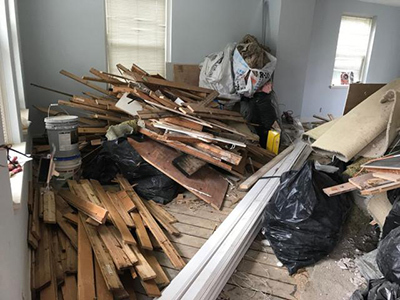 On the day of your scheduled appointment, our professional crews will arrive on-time to get rid of your junk, as well as any anxiety and tension that comes with it. 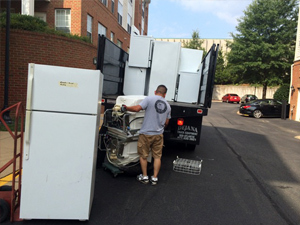 Mack Hauling is proud to be a green junk removal service in MD for Appliance Recycling and Disposal. We recycle 100% of all appliances we pick-up. Appliances such as refrigerators have environmentally harmful chemicals such as Freon and must not be routinely trashed. We handle these with special care so as not to cause any release of these gasses. As a locally owned company we feel it is our responsibility to make sure that we do our part to minimize the environmental impact of the appliances we remove. Our trained experts take pride in the careful removal of your appliances. There is no need to move anything yourself. Just tell us what you need removed and our people will take it from there and be sure to sweep up before leaving. We regularly haul refrigerators, deep freezers, stoves, dish washers, microwaves, window air conditioners and virtually any brand or style of appliance you no longer have a use for. Call us today or, better yet, save some money and request a quote and pick-up online for a FREE ESTIMATE or to schedule a pick up appointment for your Appliance Recycling and Disposal needs. If needed, we would be pleased to provide you with information on how to properly dispose of these items. Mack Hauling specializes in junk removal of all types including hoarder clean outs and light demolition. Our fleet of junk removal trucks and dumpsters can address any job no matter how big or small it may be. We have many satisfied and recurring customers all around Bethesda Maryland and the Washington DC area. We service the Bethesda area including Rockville, North Bethesda, Potomac, Hyattsville, Woodburn, Wood Acres, Chevy Chase, Whitehall Manor, Westboro, Huntington Terrace, Friendship Heights, Friendship Village, Stone Ridge, Silver Spring, and all surrounding areas. We will provide tenant cleanout services to apartment complexes in or near the Bethesda MD area including Edgemont at Bethesda Metro, Aldon of Chevy Chase, Bethesda Place, Westwood Tower Apartments, Triangle Towers, The Metropolitan, Bainbridge Bethesda, Flats at Bethesda Avenue and any others.